Little Stars opened its doors in August 2008. 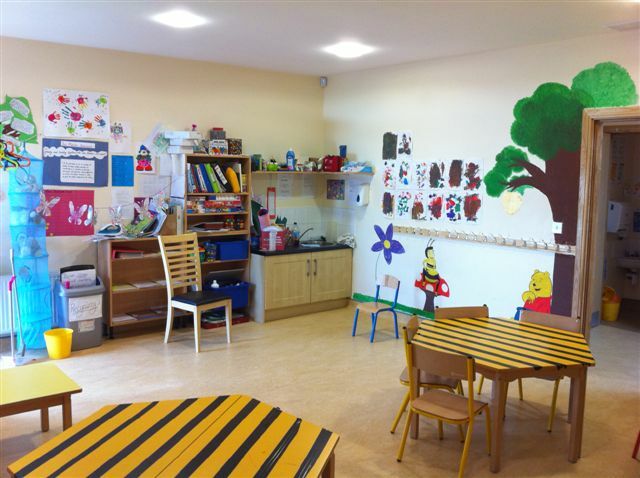 The purpose built facility in Tramore caters for all children in the preschool age group. The building is big, bright and spacious and has wheelchair accessibility. Months of planning went into creating the child friendly zone and this is evident on entering the building. We cater for babies from six months to preschool children and the creche opens from 8am to 6pm 51 weeks of the year, only closing for the Christmas period. The facility also offers an opening time of 8.00am Monday to Friday. All staff employed by Little Stars are qualifed with a minimum of Fetac Level 5 and we are very proud of the level of qualification held by our staff. Staff are encouraged to further their qualification and are supported in doing so. Currently a number of staff are pursuing Level 6 in Childcare. We have a spacious, secure outdoor play area, which is soutwest facing, allowing a warm environment on sunny days and shelter to dull days. The ground is covered in protective covering and we have a green area for the bouncing castle in the summer and a small are for planting our shrubs, which are sown from seed by the children. We also host bird feeders to encourage some wild life in the area. The perimiter of the byuilding is monitored by security cameras and access to the building is monitored. Inside we host a baby-room, and afterschool-room. Activities from playing musical instruments to cooking take place weekly and all children are encouraged to take part. Birthdays are celebrated in the creche and the children participate in making the cake, jelly and buns for the birthday boy or girl. Our afterschool club is well supported and the children are collected from the national school in our seven-seater vehicle free of charge. On arrival to the creche the children tend to their homework and a one to one homework is completed. A snack is supplied and the children are encouraged to help prepare the snack and clean up after. A games room is provided where the childre participate in board games, arts and crafts and air hockey. All staff are proud of the homely atmosphere in the club. This year staff and some of the children took part in the Tramore St. Patrick's Day parade and all had a fantastic time. The parade was a great success and we are proud to be a part of it. Last bank holiday August we celebrated our second birthday on the premises with staff, parents and children. 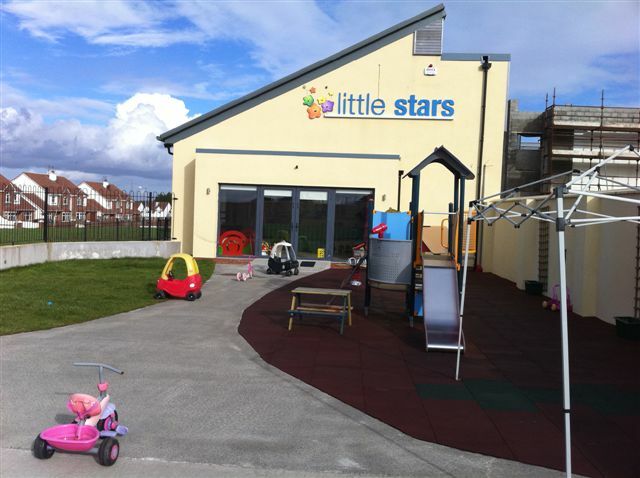 Little Stars facility has been hightly recommended by the HSE and the support we receive from the staff in the HSE and Waterford Childcare was excellent. Little Stars also offers an introcution period and settling in period for mothers and their babies/children who have enrolled into the creche. This is a very important facility for all concerned, as some children take longer than others to adapt to their new environment. Our staff liaise with all parents and we endeavour to keep as close as possible to the routine requests of all mothers. Any concerns parents have about their little one is relayed to the room leader or our manger Edel. The contentment of the children is paramount to us all.